If you are a soccer fan then this blog is for you. 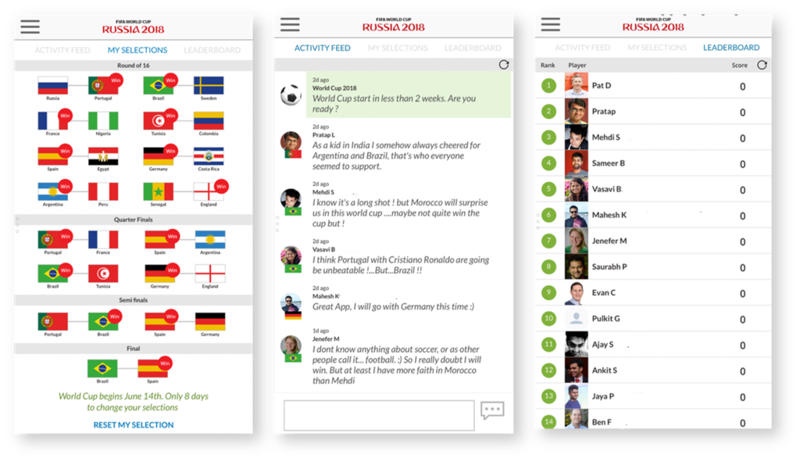 With the world cup kicking off in just a week, I thought I would share a fun app that you can deploy within your organization to get your colleagues excited about the world cup. The game is simple, pick your favorite teams to win each round all the way to the world cup winner. Players with the highest number of accurate predictions wins the game. Once you made your selections, check out the leaderboard and join the discussion. 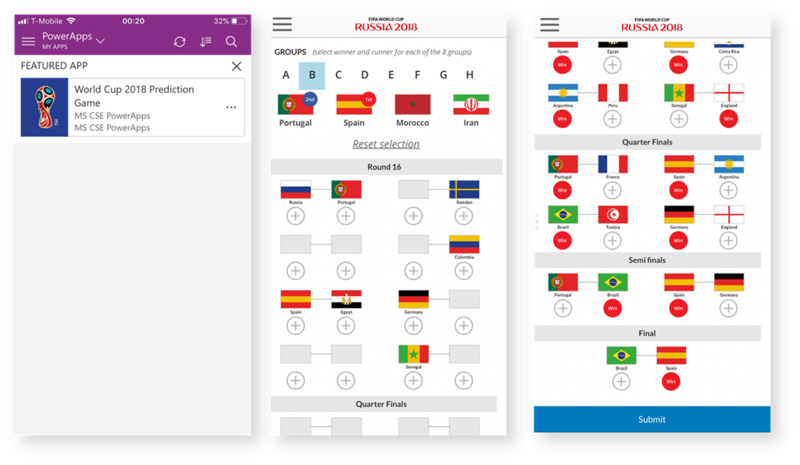 I will have an update around how to compute scores and leaderboard screen as we get closer to the World Cup kick off. Get the Solution package & Canvas app for this app here. Detailed Step by step on how to deploy the app can be found here. Approximate deployment time ~30 min. If you deploy this in your organization, we would love to here about your experience. Please fill out this small survey https://aka.ms/WCAppForm .